Signing is a natural form of communication used by everyone; even YOU! Think about it. We use signs and gestures all the time. Pointing, motioning to come forward, and gesturing that you will call your friend later are all perfect examples of non-verbal communication used universally. Why do we use non-verbal gestures if verbal communication provides more clarity and ease? The answer is simple. There are times in life when spoken language doesnt suffice. Maybe you are in a loud and crowded subway station, or you are caught behind a window. Whatever the situation may be, there are times when we use non-verbal gestures and signs to communicate our needs. One of the most important and sometimes overlooked situations requiring non-verbal communication is the everyday life of a pre-verbal baby. Before we are even able to produce verbal speech, we have needs. How frustrating to not be able to communicate them! We are a social race, desiring communication and connection with others. 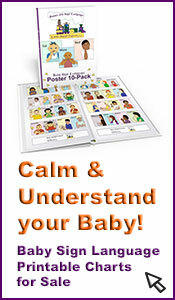 Signing with your baby addresses two basic human needs from the very beginning: communication and socialization. There are several key social benefits to signing with your baby. An infant that can communicate a basic need such as wanting a favorite toy or needing a drink will be much happier. These small communication barriers can produce a great deal of frustration for a child and can lead to socially inacceptable behaviors like temper tantrums and aggression. Signing bridges that communication gap and creates an emotionally secure social environment for the child. Sign language offers visual input that stimulates verbal communication by increasing language development. Studies have shown that sign language strengthens connections in the brain that are used for speech development. 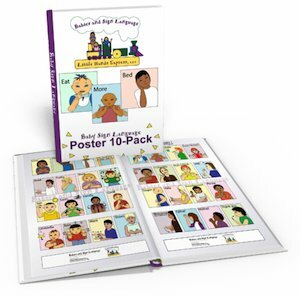 Speech and language are the building blocks of social development. They enable the child to interact with the world and begin to make social connections. 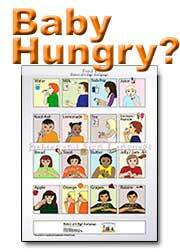 Language and vocabulary development are key in social development. Think back to high school Spanish class: the more vocabulary you learned, the more you were able to connect with others and establish relationships. Increasing a childs vocabulary through sign language essentially increases the circle of people with whom the child can connect and establish relationships. 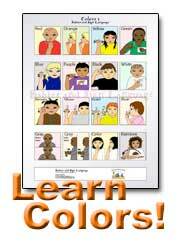 Sign language gives children an easy and natural way to express themselves. When this expression is reinforced through social interaction, confidence begins to emerge. Confidence is the fire that strengthens and builds social development. Confidence develops as a child begins to express themselves and understand the expressions of others. When children develop this communication skill, they will naturally begin to seek out social interactions and relationships. 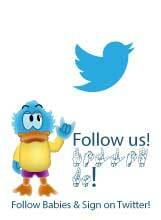 Sign language is a wonderful tool for communication and social development in babies and infants. It can ease frustrations like the tantrums of the terrible twos, and provide an additional avenue for speech and language development. Sign language builds confidence and strengthens social development by providing a way for your baby to reach out and explore the world.